If you or a member of your family has suffered a spinal cord injury resulting in partial or total paralysis, contact the Boston law firm of Steven J. Topazio for comprehensive client service in pursuit of full and fair compensation. Our office handles severe injury cases resulting from car crashes, motorcycle accidents, truck collisions, or accidents suffered in falls or unsafe property conditions. 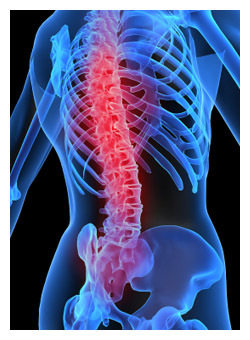 In a spinal cord injury that results in paraplegia or quadriplegia, there is little question as to the severity of the victim’s condition, but there might well be a substantial dispute as to who was at fault for the accident. Massachusetts recognizes the comparative negligence doctrine, a legal rule that allows a jury to consider the plaintiff’s partial responsibility for the accident. If the jury decides that the plaintiff is more than 50 percent at fault, then no damages may be awarded. If the plaintiff is found to be 20 percent at fault, then the jury is asked to determine the amount that would compensate the plaintiff in full, and then reduce that amount by 20 percent. Boston personal injury lawyer Steven J. Topazio has more than 28 years of trial experience and knows how to handle difficult issues of liability and damages in spinal cord injury cases. He can anticipate and plan for potential problems in proving the liability of the defendant and avoiding the reduction of a damages award through application of comparative negligence rules. This experience can be especially useful in cases involving motorcycle accidents or premises liability claims, where defendants routinely allege that the injuries were caused by the plaintiff’s own carelessness. Our law firm takes equal care in making sure that the damages side of a spinal cord injury case is fully developed, thoroughly documented, and presented in clear and persuasive terms. We leave nothing to chance either in settlement negotiations or at trial as we work toward the maximum compensation available under the facts and the law. To learn more about our ability to represent your interests effectively in spinal cord injury litigation, contact the law firm of Steven J. Topazio, Attorney at Law for a free consultation in Boston.